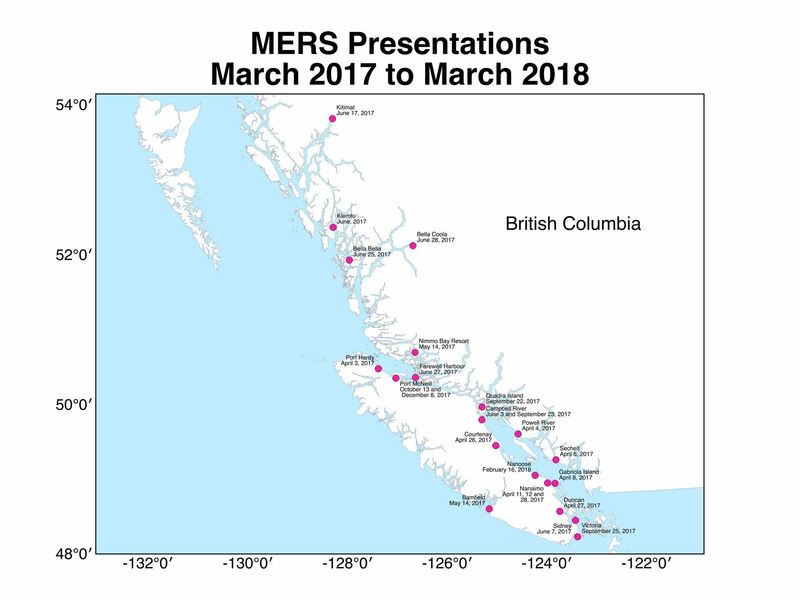 MERS strives to deliver presentations that are highly engaging and entertaining while having the strong potential to reduce risks to marine life. A very high priority is to reach coastal British Columbians to share our research on Humpbacks and discuss how to reduce the risk of collision and what to do in case an entanglement is witnessed. The increase in the number of Humpbacks off the BC coast is so fortunate but necessitates increased awareness from boaters as they behave so differently than the whale species boaters are more accustomed to. For currently scheduled presentations, click here. Click here to contact us about the possibility of a presentation.